And now I know you reddit….. yes….! honestly, things like this make me really want an iPhone. I see people like this on a weekly basis and they only live on orally. If I ever start to make more money, I’ll probably get one. Though the idea of being constantly plugged-in is super unappealing to me (ah, my inner-Berkeley). 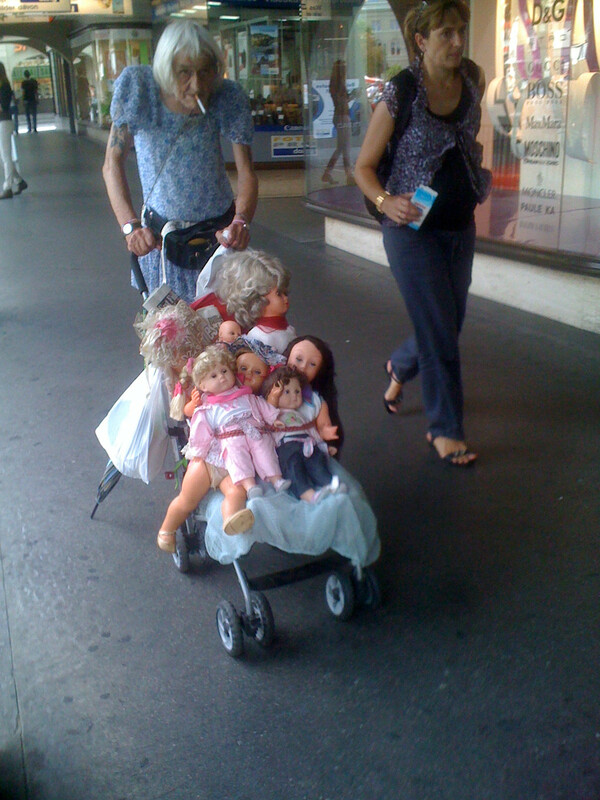 I think my favorite part is her back-right doll that is most definitely rocking a grey wig, followed closely by her tat, her fanny-pack, and, of course, her cigarette. Holy moly . . . .